Most recently, Jennifer completed 135 hours of fundamental training for cosmetic tattooing with an emphasis on 3D microblading brows at the Advanced Permanent Cosmetic Academy. The Academy is a state accredited school, while many others are not. Jennnifer is licensed and insured and has been approved by the Illinois Department of Public Health. Her 18+ years of shaping and grooming client eyebrows has made for a natural transition to microblading. Jennifer attended Pivot Point’s aesthetics program after studying Retail Management and graduating from Purdue University. She then went on to pursue her passion for skincare. She studied European Techniques and Advanced Skin Analysis at the Dermal Institute, and attended both The Conservatory of Esthetics in specialty make-up techniques, and New York’s Aveda Institute in Ayruvedic and Himalayan treatments. She has also trained under Dr. Faran Bokhari, a leading Chicago trauma surgeon and Lustre medical advisor, to perform advanced medical-based techniques. She strives to create personalized systems for each individual using advanced techniques and professional products. 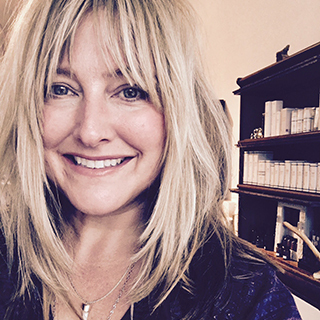 Inspired by the philosophy of a healthy balance both cosmetically and internally, Jennifer’s level of personal care goes beyond skin treatment, and she will often recommend herbal supplements, acupuncture, or hydrotherapy.